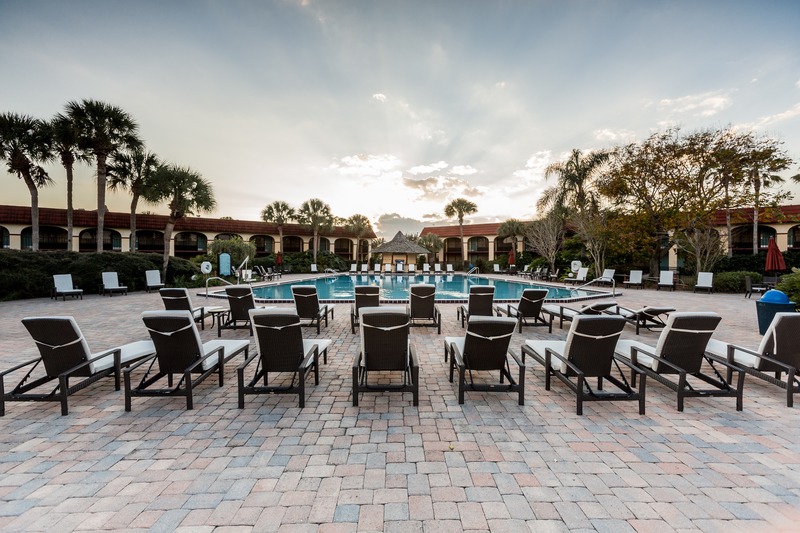 Maingate Lakeside Resort is the premier hotel for Orlando group travel, events, and retreats, offering accommodations for large groups in 475 spacious guestrooms and suites. Our hotel near Disney, FL offers 3,200 square feet of flexible event space, ideal for any kind of meeting, event or celebration, including corporate get-togethers, church retreats, family reunions, or weddings. Our veteran event planners will take care of the details leading up to your occasion to ensure everything runs smoothly, arranging everything from catering to event setup. Whatever your Orlando group travel requires, we can help make it happen. Not only does our hotel feature more than enough space to accommodate Kissimmee events of almost any kind, the flexibility of our spaces opens up a variety of layout options. For intimate classroom-style presentations or boardroom meetings, the Waterfront B or Palm B rooms work perfectly. Each of our two larger rooms, the Waterfront and Palm, are the ideal size for large gatherings like conferences or weddings, and all of our function spaces offer audiovisual equipment. Our Kissimmee, FL hotel group sales manager and catering manager are happy to arrange delicious, cooked-to-order catering service and make sure your function space meets all your specifications. If you are looking for an affordable group travel arrangement in Orlando and beyond, our staff can help you set up a travel schedule that works for you. Our hotel’s proximity to ESPN Wide World of Sports makes it an ideal destination for USSSA Baseball or AAU basketball teams needing group room blocks. Fill out a Groups & Events RFP to start planning your Orlando-area event or group travel.